You can make buttermilk from milk in just 5 minutes! 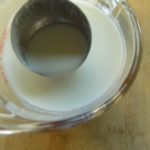 If you are out of buttermilk, don’t worry as homemade buttermilk is very easy to make. When I need to use a buttermilk in a recipe, I either mix 1 cup of milk with 1 tablespoon of lemon juice or white vinegar. I wait 5 minutes or so to let it thicken and curdle. 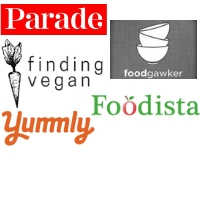 Then, I use it in my recipes. Before giving the simple recipe, let’s talk about what traditional and commercial buttermilk are: Traditional buttermilk is the liquid that is left after cream is churned to make butter whereas commercial buttermilk is made by adding bacteria to pastuerized milk. This bacteria makes the milk acidic, gives a tangy flavor to it. When buttermilk reacts with baking soda or baking powder, it gives a nice rise to cakes, cupcakes . It lightens and adds tenderness to finished baked goods. 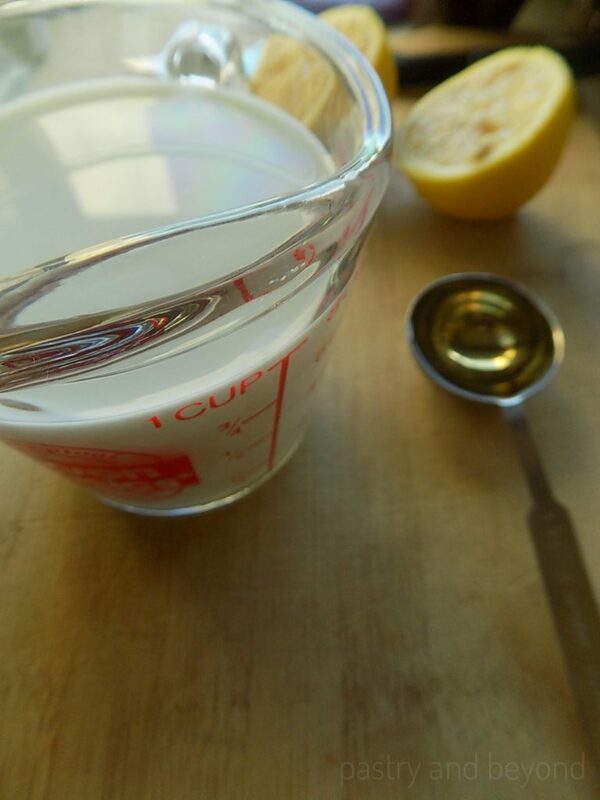 I pour the milk in a cup and stir vinegar/lemon juice. I let it stand for 5 minutes or so until the mixture thickens and curdles. That’s all! You can use this recipe when you are out of buttermilk. Enjoy! 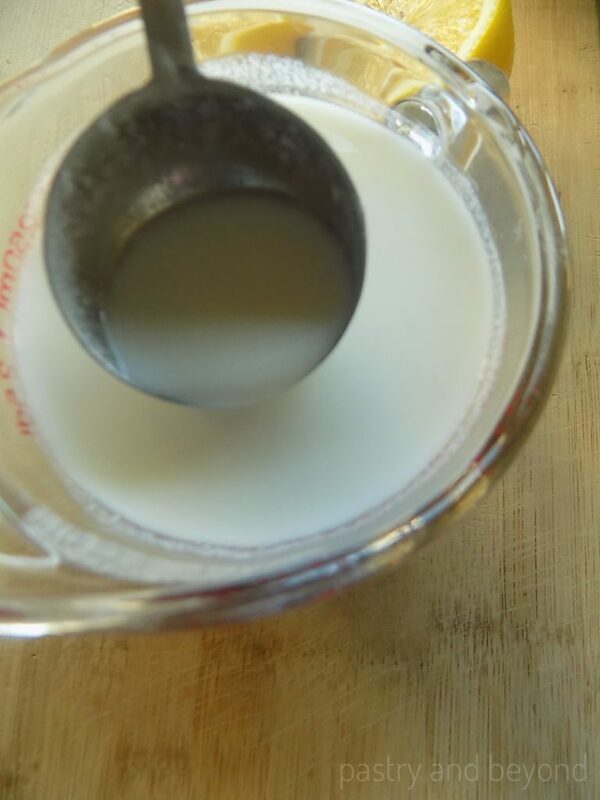 You can turn milk into buttermilk in just 5 minutes! Pour the milk into a cup. Add in the lemon juice or white vinegar and stir. Let it stand for 5 minutes or so until the mixture thickens and curdles.